Natacha A. Polli enjoys a 15 years experience in the fields of Compliance and Governance. She holds a Master of Laws and got her admission to the Geneva Bar in 1994. Alongside her activity as an attorney, she held an assistant position at the Faculty of Law of the University of Geneva. In 1998, she was appointed General Counsel and Deputy Head of the Money Laundering Control Authority, newly created to implement the Money laundering Act in regard with nonbank financial intermediaries. She has assumed an important role in this Authority by writing firstly regulations and guidelines for the Self-Regulatory Organisations (SROs) and the Directly Subordinated Financial Intermediaries (DSFI) and secondly, by handling the SRO applications for licence. The Authority was merged in 2009 with the Swiss Federal Banking Commission to become the Swiss Financial Market Supervisory Authority FINMA. 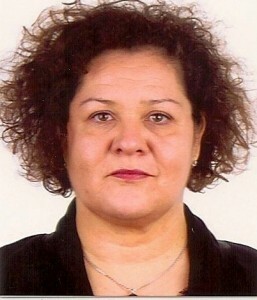 Natacha A. Polli has always demonstrated a strong commitment to participating in the regulatory process (i.e., since 1998 member of the Working Group in charge of the periodic review of the SBA Agreement on the Swiss banks’ code of conduct with regard to the exercise of due diligence), associative activity (former President of the Association of Compliance Officers in Western and Italian-speaking Switzerland), education and training (member of the Steering Committee for Compliance Management Certificate of Advanced Studies at the University of Geneva). Georges Zecchin enjoys a 24 years banking experience including 12 years in the fields of Compliance and Governance. Georges Zecchin began his career in 1974 as a Forex dealer. He then decided to angle his career in the domain of law and earned a Master of Law in 1984. From late 1984 to late 1986 he worked in Pakistan and the Philippines as a Delegate of the International Committee of the Red Cross. 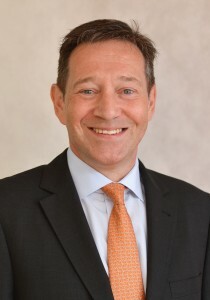 In 1989 he gets the admission to the Geneva Bar and thus began his career as a lawyer, first as a partner in a law firm, then as Head of the Legal Department of the Swiss Volksbank (now part of Credit Suisse). Georges Zecchin served from 1995 to 2001 as an Examining Magistrate for the section of complex and white-collar crime affairs within the Judicial Power of the Canton of Geneva. In 2001 he joined Credit Agricole (Suisse) SA (formerly Credit Agricole Indosuez (Suisse) SA) as Head of Compliance, where he had primary responsibility for managing all the issues related to Anti-Money Laundering and Counter Terrorist Financing on a consolidated basis. Georges Zecchin was appointed Secretary General of the Bank in 2004, in charge of the supervision of Legal and Compliance departments and the coordination of the Bank’s governance at the international level, including the consolidated supervision according to regulatory requirements, and contacts with regulators in Switzerland and abroad where the Bank had offices. He was appointed Chief Executive of Credit Agricole Suisse in Asia (Hong Kong and Singapore) in 2010, a position he held until mid-2013. In addition, Georges Zecchin demonstrated a strong commitment by participating in associative activity (co-founder of the Association of Compliance Officers in Western and Italian-speaking Switzerland), education and training (former member of the Steering Committee for Compliance Management. Certificate of Advanced Studies at the University of Geneva).